Intro- During the 1970s, America started designing its new Trident SSBNs to be named as the Ohio class which were a considerable increase in capabilities for the USN, and were the largest subs when they entered service. Thus the Russians decided to counter this threat with an even larger submarine which they initially called as the “Tayfun” from which its NATO name was derived ie Typhoon. In 1972 work formally began at the Rubin design bureau and in 1973 work began on its R-39 SLBM. 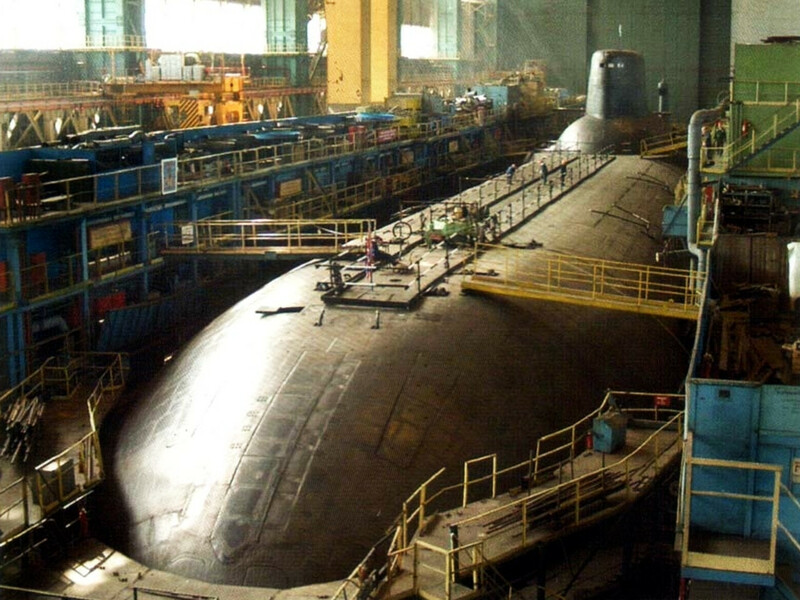 This sub was designated as Project 941 Akula (not to be confused with Akula class SSN) whereas NATO named this class as Typhoon. The design bureau went through various proposed designs, the number is said to be in excess of 400. One of these designs proposed a 253m long submarine which was deemed too big to be built in Russian yards. They zeroed on the 441st design which proposed a sub 149m long with two parallel pressure hulls, sail was closer to the aft section and missiles silos placed between the two main hull in front of the sail. Further work on design added another pressure hull for the conn, one more for torpedo tubes and another one for control surfaces in the aft section and extended the length to 172m. All of these compartments were enclosed in a massive outer hull with Akula SSN’s bow sonar array below the foremost hull. 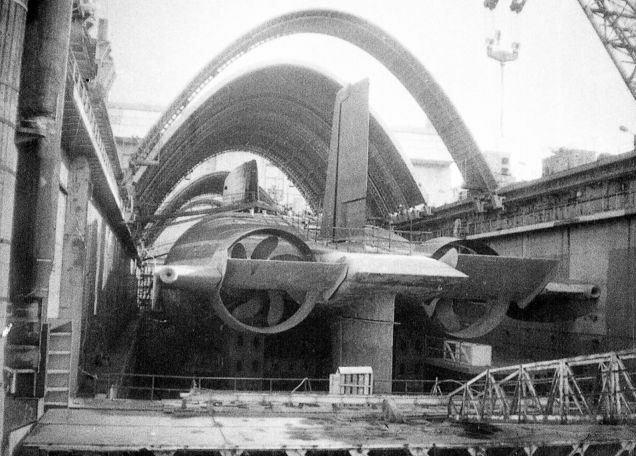 This design meant the sub would have a displacement in excess of 23,000 tonnes and very high reserve buoyancy of 48% which made it very difficult to sink. This pic shows the arrangement of the two parallel hulls, hull which has the torpedo tubes and the missile silos. The design needed 160 crew members who were accommodated in both the parallel hulls but the starboard one had a recreation area,including a small gym,solarium,aviary, and sauna. Each hull had a OK-650 reactor which gave it a submerged speed of 22knots, they also had one 800 kilowatt diesel generator as a back up for both these reactors. These reactors powered two shrouded propellers, they were shrouded to protect them from ice as they were designed specifically to operate in the Arctic, they also reduced cavitation to some extent. These props were supplemented by two small retractable propulsors which were used silent running or maneuvering when used with main props. The keel of TK-208 ie the first Typhoon was laid on 30 June 1976 at Severodvinsk, by that time the only Soviet shipyard constructing SSBNs and she was commissioned in December 1981. The west thought it was one of the Oscar class, but they only realized it was a new type when they saw its distinctive components being shipped into the assembly hall. 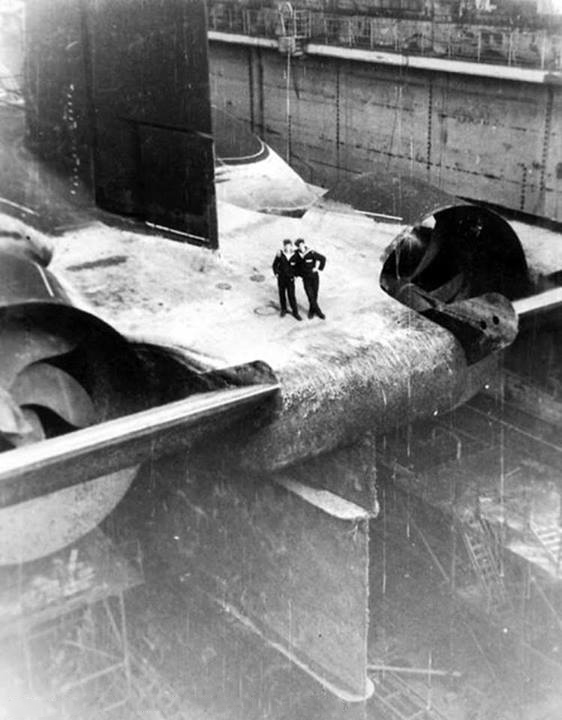 The hall and the slipway used to build and launch were specifically built for the Typhoon class. Originally, the plan was to build 10 units which was reduced to 8 off which 6 were completed before the end of cold war and 7th was scrapped on the ways and 8th was never laid. R-39 on the other hand was problematic and entered service in 1984. It was more accurate compared to its predecessors, had a range of 8300km range, with 10 MIRVs but had a heavier launch load of 90 tonnes compared to its predecessors. A Typhoon carried 20 of these along with 22 533mm torpedoes for self defense. They seldom needed those torpedoes as their Arctic patrols made them immune to allied ASW ops and this gave the Soviets a massive strategic advantage. It is speculated that they were developing special vessels to replenish a Typhoon’s SLBMs at sea in case of war or to replace the missiles without returning to the base. 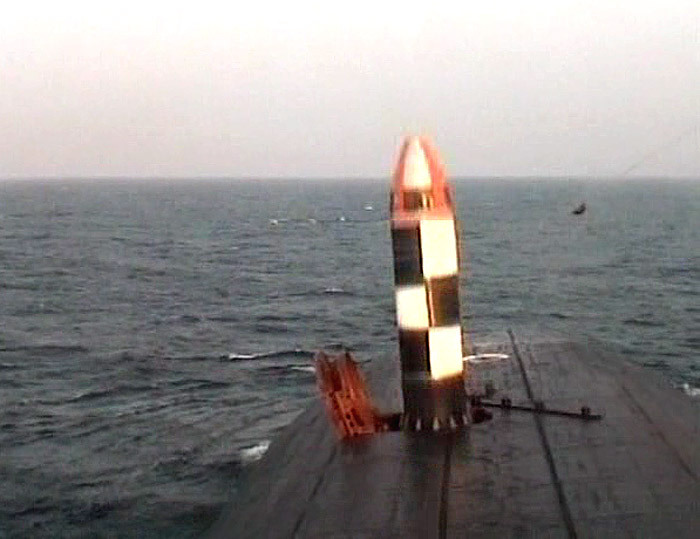 At sea SLBM replenishment vessel doing its job. All Typhoons were supposed to get their reactors refueled and the newer R-39M SLBMs starting with TK-208 in October 1990. 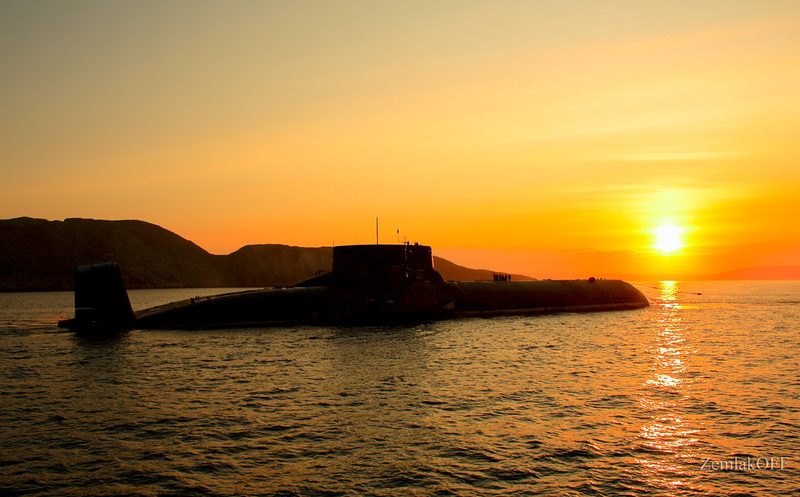 She emerged from the shipyard in 2002 after 12 years with her reactors refueled and the smaller RSM-52V Bulava missiles in place of R-39M which had hit a roadblock and was cancelled. Due to lack of funds 5 Typhoons have been retired, 3 of which have been scrapped and 2 are in reserve. Later TK-208 was fitted with a newer variant of Bulava ie RSM-56 which is being developed for the Borei class but this project has suffered from repetitive failures but it is back on track now. TK-208 will be retired along with her sisters once the test programme is over and will most probably be scrapped. 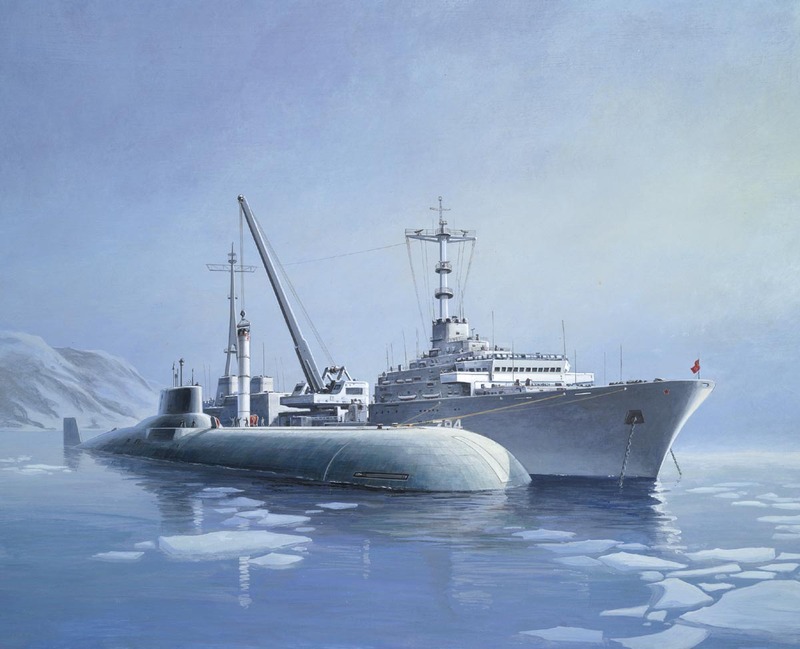 This class of submarines was made famous by the book the Hunt for Red October, in this book a modified Typhoon named Red October sports a new quieter propulsion system with a very different acoustic signature thus making it pretty difficult to detect. She is commanded by a skipper who wants to defect to the US and the book tells the tale of this defection. Very nice article…. always admire the Typhoon class sub.